As summer draws to a close, and we head towards the dark, cold months of winter, many people are worried about the prospect of bleak months ahead in more ways than one. Reports in both the Daily Express and The Independent suggest that we may be about to see another sharp rise in energy prices. If this coincides with a severe winter, many consumers could be struggling to pay their bills. Here, ADIGE Towel Radiators review these reports and look at ways that consumers could reduce their energy costs. "Energy prices in the United Kingdom are already at a level that many find hard to afford, if prices rise again, it could leave ordinary households having to choose between heating or cutting back on food, clothing and other necessary expenditure", said Vinnie Ozer, director of ADIGE Towel Radiators. "By planning ahead now, and making changes before price rises and winter weather arrive, consumers can take steps to alleviate the effect of price hikes, and take greater control over their utility bills." The Daily Express report is based upon an interview with energy analyst Mark Todd. 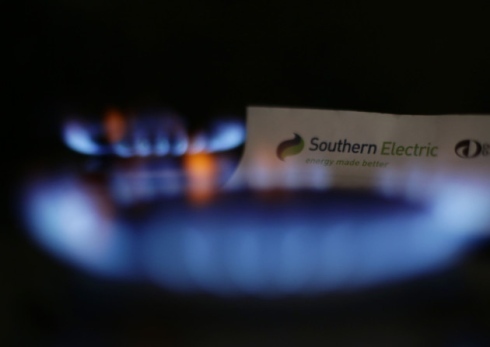 It opines that energy prices could rise within weeks by an average of £130. The big six energy companies all saw a dip in profits, which they attributed the unusually mild winter in 2013-14. Analysts such as Mr Todd believe that these companies will increase energy prices as a way of recouping these lost profits. A ten percent rise in energy costs is believed to be one of the options being considered. The British climate is becoming ever more unpredictable and ever more changeable, so it's unlikely that we will see another winter as mild as the last year coming straight on its heels. This could send bills to an unprecedented level, and leave many hard working families experiencing fuel poverty, as well as putting increasing pressure upon the elderly and households with lower incomes. The Independent's report takes a closer look at research carried out by the House of Commons Library. The figures within their report show that UK consumers have seen energy prices rise for three years in a row, meaning that prices have risen by 23.5%. Only Ireland has experienced a sharper rise in energy costs, with Germany and South Korea being the only other countries in the developed world that come close to the UK price increases. The Shadow Energy Secretary, Caroline Flint, has criticised the conduct of both the government and the big six energy companies, revealing that energy prices have risen by four times as much as wages since 2010. What can consumers do to mitigate these rises? "There are two important steps for consumers to take", said Vinnie Ozer. "The first is to shop around for the best deal. Smaller independent energy companies may save you money, and switching between suppliers is now easier than ever. The other vital thing is to consider more energy efficient ways to heat your home. Towel radiators are a great bathroom heating solution. They are among the cheapest ways to heat your bathroom, and in the current economic climate every pound helps." Heated towel radiators from ADIGE look great, and save space in your bathroom, but they're also designed with energy efficiency in mind. That means they're a great choice for the environment, and for your pocket.